BRITAIN HAS ANNOUNCED plans for “swarm squadrons” of drones that could overwhelm enemy air defences as part of a series of plans to “enhance its lethality” after Brexit. 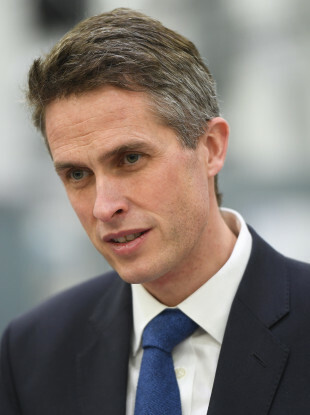 Speaking in London, UK Defence Secretary, Gavin Williamson, said leaving the European Union was an opportunity for Britain “when we must strengthen our global presence”. Williamson announced plans to invest €8 million in the drones, saying he expected squadrons “capable of confusing and overwhelming enemy air defences” to be ready by the end of 2019. “In fact, the economic damage that Brexit threatens is what will most quickly weaken our forces,” the anti-Brexit MP said. Email “UK plans drone 'swarm squadrons' after Brexit, says defence secretary ”. Feedback on “UK plans drone 'swarm squadrons' after Brexit, says defence secretary ”.